More unpublished deals on airfare to Hawaii from six airlines today as these Hawaii fare wars continue. Travel from now to May depending on route. Travel and purchase dates: Purchase as soon as possible, today, 10/9/18. Even better is to buy within the next hour or two as these could end at any time. See specific travel dates below, which vary by route. Travel can start either on the mainland or in Hawaii. Fares and Availability: Prices are each way, include all taxes and fees. These are the lowest fares offered and are not available on all or even most dates/flights. Availability is limited. Must use airlines’ fare calendars to find seats, availability and best pricing. Travel over holiday periods is not included. Prices are available online only. You cannot call the airlines to obtain these fares. 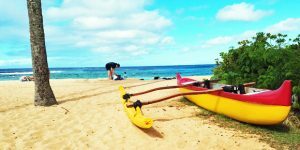 More Hawaii Deals: If you can’t find the routes or dates that work for you, subscribe to our free email updates and never miss the latest Cheap Flights to Hawaii. Los Angeles to Honolulu $142. Now until early March on Hawaiian Airlines, American Airlines, Delta Airlines and United Airlines. Los Angeles to Maui $142. Now until early March on Hawaiian Airlines, Delta Airlines and United Airlines. Los Angeles to Kauai $162. Now until early March on Hawaiian Airlines and American Airlines. Los Angeles to Kona $157. Now until early March on Hawaiian Airlines, Delta Airlines and United Airlines. Portland to Honolulu $137-$142. Now until February on Sun Country and slightly more on Delta Airlines and Hawaiian Airlines. Dates vary by airlines. Portland to Maui $142. January until February on Hawaiian Airlines. Portland to Kona $152. November until December on Hawaiian Airlines. Seattle to Honolulu $144. Now until February on Hawaiian Airlines and Delta Airlines. Seattle to Maui $144. January until February on Hawaiian Airlines and Delta Airlines. Seattle to Kauai $146. November until February on Hawaiian Airlines. Seattle to Kona $142. November until February on Hawaiian Airlines. 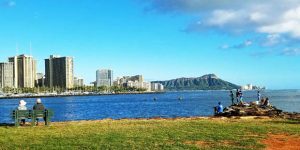 Salt Lake City to Honolulu $149. January until February on Alaska Airlines. (Limited). Salt Lake City to Maui $149. January until February on Alaska Airlines. (Limited). Salt Lake City to Kauai $149. January until February on Alaska Airlines. (Limited). Denver to Honolulu $175. Now until May on Delta Airlines. Denver to Maui $175. Now until May on Delta Airlines. Denver to Kauai $175. Now until May on Delta Airlines. Denver to Kona $175. Now until May on Delta Airlines. Can someone please help me? I’ve tried to sign up for deals email but keep getting a message saying “oops something went wrong” when I click subscribe. We checked and you are successfully subscribed to emails. If you aren’t receiving them, please respond to we’ll know. Second, we are flying 7 people to Maui from Portland Thursday, August 1-13th, 2019 for graduation. Hawaiian has one way from PDX for $342 today. Do you predict summer fare dropping when Southwest enters the market? Thanks in advance for your insight! I’m making myself crazy here, lol. We don’t anticipate any Southwest Effect in Pacific Northwest. On the other hand, both Portland and Seattle are seeing really great fares and have other competitive pressures that are helping. While we can’t predict what the airlines will do, our crystal ball says fares will go down, not up. With anticipation of pricing for your dates in high $500’s. Hope that helps and let us know how it works out. That does help 🙂 Thank you!!! 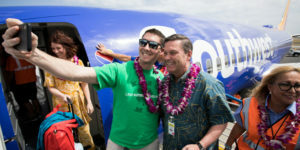 Has SW Airline start flying out Chicago or are offering flights to Hawaii? When is the cheapest times to fly from Chicago to Hnl, Maui or Kona? Can you please let me know how I can find the tickets? I’m interested to going from Salt Lake City to Honolulu. Is there a link or something? Thank you. Aloha! We will be flying out of MSP into OGG on Feb 16th. Staying 2 weeks in Kihei. I’ve been looking “seriously” looking for the past couple weeks and prices are not coming down at all. 2 years ago our tickets were right around $549 – I know AMAZING price. Any suggestions/recommendations? Delta is completely ridiculous with their prices right now! There are $360 RT fares in that market on United, but they are not for weekend travel (M-F, depending on dates). Might improve by waiting but just as likely it will not. Aloha! I have been watching dates for a few weeks from MSP to Oahu dates are flexible but need to be low for 3 travelers in last week of November – First week in December. 7-9!days. I missed out on the $357 flights last week with excruciating regret. A family member sent me your link that says 48 hr sale that’s dated 10/9 but the search tools show $900 plus for flights during my time frames. Yesterday in several sites they were under $500 Can you please tell me if the 48 hr sale is on now or if the dates are incorrect? And since we’ve missed out it it advisable to wait and fly cheaper last minute? Thanks so much! Post you are asking about says nothing about 24 hours, but rather states to buy immediately. That’s how deals we post work – you cannot wait until even the next day. In any event, we have good news. There is a $362 RT fare on United. For example, 11/28-12/7. Aloha! We are planning on going to Hawaii (Waikiki & Kauai) the last week of March/first week of April. I see airfare wars for earlier months but nothing for when we are going. Since it is a peak season, I am assuming it might not happen? Your thoughts? We are flying LAX to LIH, LIH to HNL & HNL to LAX. Right now I have tickets on hold with Hawaiian Airlines for $707 RT. Any insight is appreciated. Too hard to predict, and here’s why. We will have Southwest by then and competition will be all new with their arrival. So some possibility of deals exists, even when unexpected. On other hand, airlines are pretty good, albeit not perfect, about controlling competition during peak periods. Bird in hand theory applies here. I just got this email and click on the following and it says ‘Page not found.’ What deals are there from Denver to Honolulu in November? That is fixed. Thanks for letting us know. That is still available today, although now only until March. Looking for any advice for flights to Oahu from ROC, BUF or another nearby airport. Was even looking at Toronto as I have found flights at half the cost. 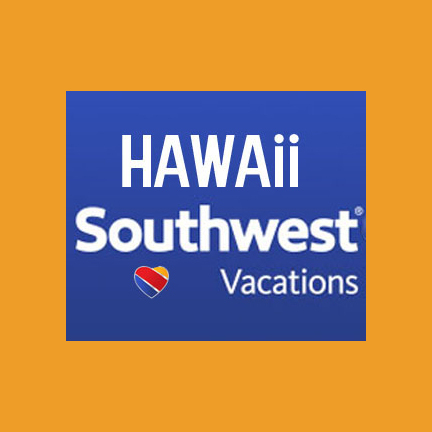 Looking at even breaking up between airlines – Southwest from BUF to LAX, then another airline for travel to HNL…? There are 7 traveling so looking to keep prices in the $500-600 range vs $1200! Travel dates 2/16/19 – 2/23/19. Any thoughts are greatly appreciated please. Thanks so much! YYZ is going to be cheapest at about $800. Next best is nearly $1300 out of BUF. If you fly to LA then $300+ RT, plus mid $400’s to HNL from there. Also will probably have to build in an overnight at LAX as far as we can see due to flight arrival/departure times. Not sure what else to suggest. By chance, have you seen any deals out of Sacramento (SMF)? Second question, we’re flying 11/8 & booked refundable Alaska flights with the hope that Southwest would start flying. We’ve mostly given up on Southwest so we’re trying to decide when we should rebook less expensive flights. Would you recommend booking now? We use Hopper & yesterday it said to book now but today its showing to wait. Just looking for another opinion on this. 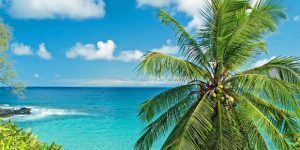 If you could fly 11/6, then $302 on American RT with quick connection to Maui (you didn’t say where you are flying to). $342 on United on the 8th. These aren’t nonstops to it depends on your threshold for stopover pain. About $150 more for nonstop. Thanks for helping, can’t believe I left that out. We’re flying into OGG & have basically no want for a layover, we’re completely willing to pay more for a nonstop flight. We’re a little confused here. So not sure if you booked yet or not, or if there is some way we can help. Please let us know. Thanks for the great article – interestingly enough, I live in Hawaii and I was looking for information on flights FROM Maui to the East Coast (same difference, just in reverse). Anyhow, thanks for the info, much obliged. Hello, we will be travelling multi cities from Cincinnati to KOA and return HNL to Cincinnati, is $900 a decent price late December/early January ? Thank you . Yes that is a fare price from Cincinnati for the holidays. Actually a little better than average. Is there a reason Chicago doesn’t get in on these low fares like Baltimore and Minneapolis? Any deals for Chicago to Kauai or the Big Island?